My name is Malen, and my husband’s Sovannarin. We both are married with two sons. I first started working for a travel agency after graduating in Hotel and Tourism major from a management university based in Phnom Penh, Cambodia. My husband has technical skills with cars, and he used to own a small garage in a suburban area of Phnom Penh. He can still fix cars and paint them with nice amazing colors and designs. We actually met a few years before we got married in 2010. In early 2012, we started raising a few rabbits at home for a hobby. But, as you know an English idiom called “breed like rabbits”, our 3 or 4 rabbits turned into 10 and 20 in only a few months. Because rabbits breed and have babies so fast, we needed to find a proper home for them. My husband and I started building small cages for them. Before we knew it, they outgrew the cages. After about a year working for the travel agency, I quit and found passion in raising rabbits and selling them to pet lovers. My husband also quit around the same time to put all the effort into raising rabbits together. In 2013, I found that we could also breed meat type rabbits as well, so we began buying a few meat rabbits and raise them. So far we have got a lot of inquiries from people via email and phone calls if we have and sell meat rabbits. 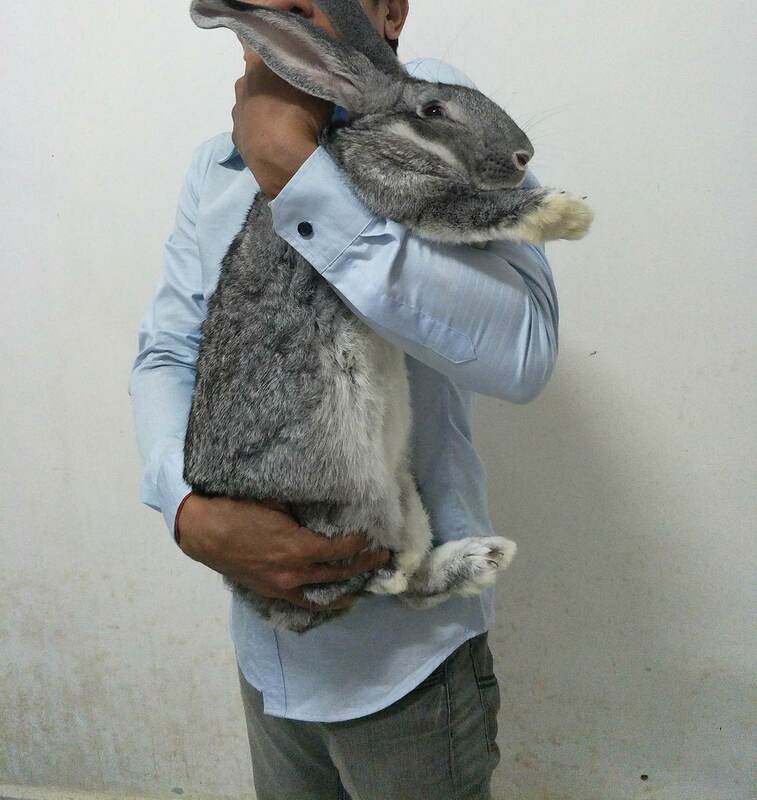 Yes, we do sell meat rabbits (only one type of breed, out of the more than 10 breeds we have at our Cambofarm), and a few restaurants (one of them is a French restaurant) have contacted us and come to see Cambofarm as well. We are a hard-working young couple, and our business has drawn a lot of attention throughout the country. Therefore, our business and lives have been featured in TV programs on TV stations such as CNC & CTN (sister TV companies), TV5, Hang Meas TV, Bayon TV, Reaksmey Kampuchea newspaper, Koh Santepheap newspaper, Popular Magazine (one of the mostly read magazines in Cambodia), and many other publications which I can’t describe here. We would really like to thank you for your interest and help in spreading the words about our farm out there. On some week days and especially weekends, we also accept visitors to our little farm. If you are interested or would like to get more information from us, please contact this number 016 63 53 67 ( English & Khmer speaking) or email [email protected][gmail].com (yes, it is “koe”). You can also check out a lot of photos of our rabbits on our Facebook page. Cambofarm would like to welcome you all. You can also comment below this post if you have questions.